Elisabeth Davies brings Good Things, Emotional Healing! If you liked this show, you should follow sunshine10171. Elisabeth Davies holds a masters degree in counseling and has counseled thousands of clients since 1989. She opened up her private practice, Bright Alternatives Inc. in 1993 and continues to offer counseling and educational workshops. 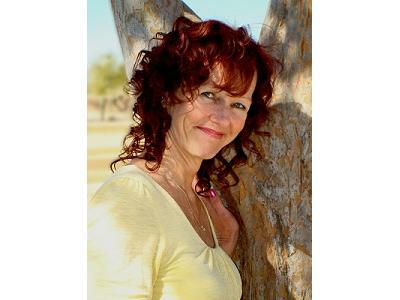 She was voted "Best in Counseling Services" by the U.S. Commerce Association, City of Peoria, Arizona in 2009 and 2010. Elisabeth is also the creator of Good Things Emotional Healing Cards, which have benefited thousands of people all over the world, in reinforcing healthy thoughts and beliefs. Elisabeth is the author of Good Things Emotional Healing Journal; Addiction, which was published in 2011 and has helped many people gain effective strategies in managing unwanted habits and compulsive behaviors. She has published articles with Together AZ magazine on the topics of depression and effects of divorce on children. Elisabeth has been a guest speaker several times at the University of Phoenix to graduate students and faculty, in the masters of counseling programs. She has been interviewed on several radio shows on the topic of mental health and addiction.